If you thought that 8-bit Mario Amiibo from E3 was huge, you ain't seen nothing yet: Mega Yarn Yoshi is coming to take the "biggest Amiibo" crown. 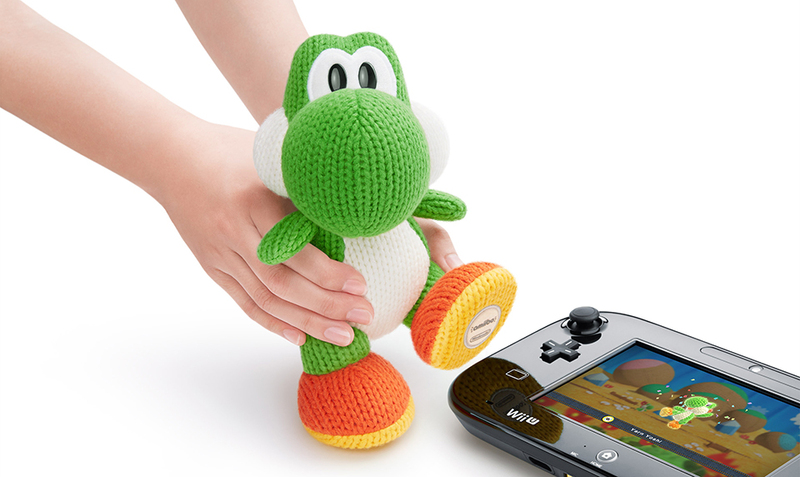 The beautiful toy you see above is an officially licensed super-sized version of the popular Yarn Yoshi Amiibo. It's a fully-functional NFC figure, so you'll be able to use its foot to interact with various WiiU titles. It'll activate the "Double Yoshi" feature in Yoshi's Wooly World, create an A.I. fighter in Super Smash Bros. or get a sweet Mii costume in Mario Kart 8. Priced at $39.99 and scheduled for release this November 15th, it's likely to sell very quickly. You'll want to keep a close eye on pre-orders as this green giant is going to cost a bomb on eBay once stocks run out.